Twist carpets are one of the most popular carpets found in UK homes. They are created from yarn, which has been tightly twisted together. 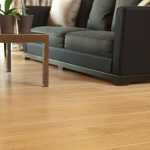 The fibres often have a coarse finish, giving the carpet a rustic, textured appearance. They come in plain or heathered styles. Marks are less likely to show up on heathered carpets, which combine yarns of complimentary shades to create a flecked, multicoloured effect, making them ideal for heavily used areas. If you’re looking for a carpet that is dense and luxurious, Saxony, which is similar to Shag pile, is a good option. The pile, which is longer than some of the other styles, can show footprints and flatten more easily than other piles, so is not recommended for areas that take more wear and tear, such as main rooms, hallways and stairs. But if you want to wake up in the morning and sink your bare feet into a deep pile, the Saxony is a perfect choice! 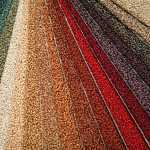 A hardwearing carpet that is well suited to busy rooms is the loop pile. It is made from heavier and wider uncut loops of yarn creating a more textured look and feel. 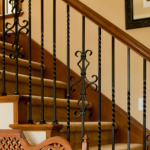 It can add style to hallways, stairs and landings. If you’ve got pets and children, a patterned carpet would work well to help disguise stains. It needs less vacuuming, but the loops may get snagged by pets’ claws. Just like the name suggests, velvet carpets are soft and smooth to the touch and have an elegant cut pile finish. They are straighter than twisted yarns, with the cut ends at the top, creating a superb, velvety surface. Luxurious and soft to touch, they look well in many rooms, particularly bedrooms and formal rooms. People are looking more and more to natural fibre carpets to reduce the impact on the environment. 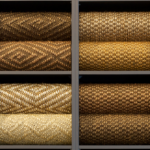 Materials such as wool, Coir, Jute, Seagrass and Sisal are stylish and hardwearing. 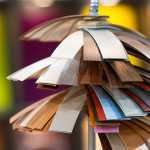 Some fibres, however, have little resistance to staining, so it’s advisable to choose a practical colour for areas that are going to be heavily used. Hopefully, this will help make your choice a little easier. If you have any questions, please contact the team at Brent Carpets in London. They will be happy to offer their professional advice on their wide range of high quality carpets for domestic and commercial use.